Fischer Tanks is located in Michigan’s Lower Peninsula in the town of Kaleva. The company is primarily focused on refurbishing and manufacturing residential and commercial propane tanks for the US and Canada. Fischer also has its own fleet of trucks and trailers. 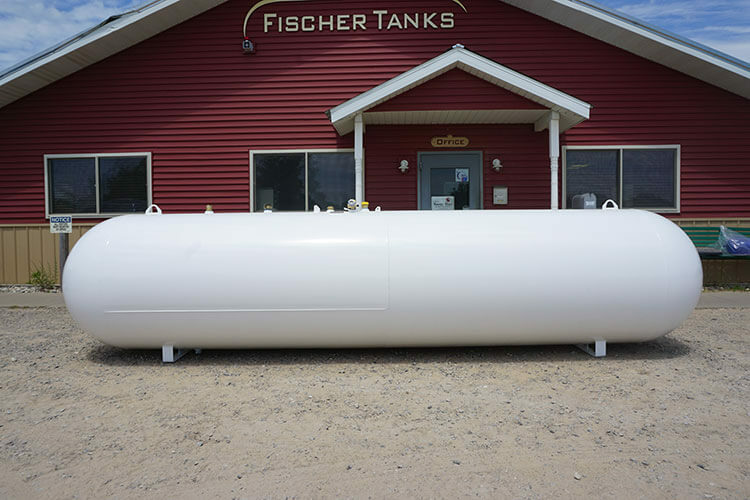 Fischer Tanks manufactures 500 and 1,000 gallon aboveground and underground tanks based upon regular input and opinions from propane industry professionals and drawn inspiration from seeing over 60 years of tank designs that we have refurbished. With this information we have designed our tanks to withstand the test of time. Fischer Tanks delivers to USA and Canada. Manufacturers and refurbishers of innovative bobtails, crane trucks, transports and cylinder trucks for propane marketers worldwide. Manufacturers of standard and custom sized/shaped large propane tanks for commercial & industrial installations; tank refurbishers and remanufacturers; propane truck manufacturers. commercial & industrial large propane and pressurized gas tank manufacturers, propane distribution systems and many industry solutions to many more industries.